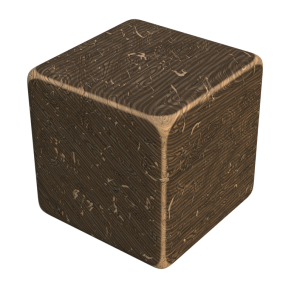 Here is my simple procedural wood grain, it isn’t the best around, it is just what i have been using for my wooden mech model. Step 2: Move the viewer to an interesting angle then press “U” and select “Project from view”. This is just and example, not a rule of process. 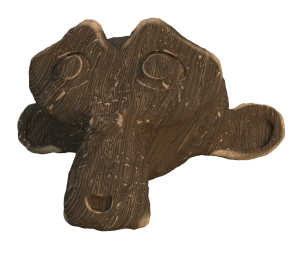 If the grain of the wood seems to be the wrong size then you can adjust the values in the noise and wave nodes. Or just increase the size of your UV unwrap. Step 3: Apply a dirty vertex to the object. This will add the pale warn edges like on the cube above. Adjust vertex values as required. 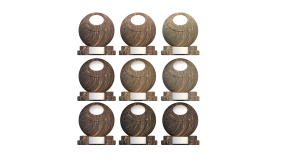 Note: Add Random values to generate different shades of wood. So just add in the nodes below. So one material can be many shades of wood. 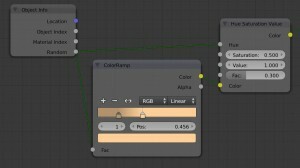 Step 4: Add this node setup (or something like it) to your object. Play with the values to get a better understanding of how they work.